Just five months before Indonesia is set to host UNESCO’s 2017 celebration of World Press Freedom Day, its government still has not met a regional human rights watchdog’s demands to address press freedom violations in the country’s restive West Papua province. 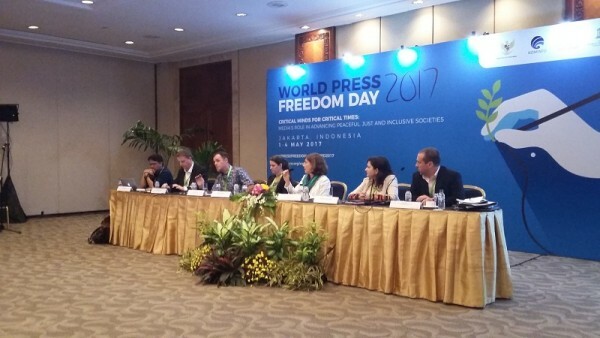 Upon the announcement in July that UNESCO would mark May 3, 2017 with a conference in Jakarta, the Pacific Freedom Forum (PFF) set that date as a deadline for Indonesia’s government to “ensure that there is open access to West Papua for foreign media, and an end to abuses against local media”. However, the government has rejected that demand. In July, the Minister Counsellor at Indonesia’s embassy in New Zealand, Wanton Saragih, argued that great strides forward in terms of press freedom in West Papua have been made under the current administration, including a lift on the ban against foreign journalists. Last year, all foreign journalists’ visa applications to West Papua were reportedly approved, including a request by Radio New Zealand International reporter Johnny Blades. But in an interview with the International Press Institute (IPI), he described a burdensome application process that required approval from 12 different state agencies, including the military. Meanwhile, West Papuan journalists such as Aprila Wayar, who works for online news outlets Tabloid Jubi and Tanah Papua News, say they are forced into self-censorship out of fear of persecution. 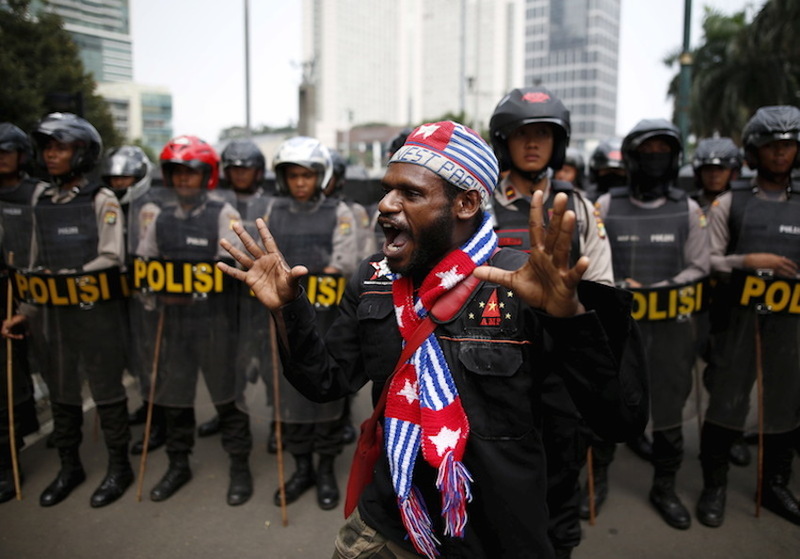 West Papua has been the scene of conflict since 1963, when Indonesia gained control of the region on the western half of the island of New Guinea following a vote that pro-independence activists dismiss as illegitimate. Since then, activists maintain, Indonesian forces have killed more than 500,000 West Papuans and tortured, intimidated and illegally detained many more. Local and foreign journalists have long claimed to be the targets of repression for covering pro-independence views in West Papua and IPI has noted the deaths of two journalists in the region this decade. Indonesia’s stance on criticism of its record in the region has been evasive. In September at the U.N. General Assembly, six Pacific island nations expressed support for an investigation of human rights abuses in West Papua by an independent commission. Jakarta responded by asserting Indonesia’s national sovereignty and the U.N. principle of non-interference. One month later, Indonesian Defence Minister Ryamizard Ryacudu asked Australian Foreign Minister Julie Bishop to warn the Solomon Islands against interfering in Indonesia’s domestic affairs. Indonesia has been able to use its political clout to ensure that little is known about West Papua today. The few times that West Papua does make international news, narratives reflect those of mainstream Indonesian media and focus on separatist violence or strikes at Freeport-McMoRan’s massive Grasberg mine, one the world’s largest gold and copper mines. According to Blades, who has specialised in West Papuan and Melanesian affairs since 2004, “for years it seemed as though separatists would be blamed for any violence, even when it was [false]”. However, a situation that has witnessed a spread of misinformation and lack of media attention is slowly improving thanks to the introduction of technology and social media. Twitter and online news platforms have been particularly helpful giving international exposure to West Papuan issues. One example is West Papua Media, an online news outlet considered to be one of the best sources of verifiable information from Papua available in the English language. It currently has 12,575 subscribers worldwide. Unfortunately for online activists, and despite Saragih’s claim about media improvements, recent amendments to Indonesia’s Electronic Information and Transactions (ITE) Law include a “right to be forgotten” clause inspired by a 2014 case at the European Court of Justice (ECJ) against tech giant Google. The ECJ ruled that individuals can, under certain conditions, demand that search engines remove links with personal information about them. The European Commission, however, has made clear that the “right to be forgotten” is not absolute and must be balanced with other fundamental rights, such as the freedoms of expression and the media. A proposed EU Data Protection Regulation would require EU members to pass national legislation to reconcile data protection with the freedom of expression. Indonesia’s ITE Law, on the other hand, makes no reference to press freedoms or how the “right to be forgotten” will be implemented, prompting experts to argue that it lacks adequate data protection or legal mechanisms to limit state power. Moreover, the amended ITE Law not only targets search results, but also original content, meaning that all Internet content providers – from search engines, to online news outlets, to digital apps – could be obligated to erase published material if ordered to do so by a court. Expressing concern over the new right, Indonesia’s Institute for Criminal Justice Reform (ICJR) warned that “this provision may become a tool of the government for censoring news, media and journalist publication[s]”. Experts say that Indonesia must protect its Internet freedoms by drafting clear rules on the implementation of the “right to be forgotten”. Blades and Wayar both said that journalist exchanges and professional employment are necessary to support high-quality local journalism. While Indonesia may heavily restrict access to West Papua, it does not restrict Papuans from travelling outside. Wayar suggested that foreign media groups should invite Papuans abroad to attend skills workshops, such as English courses and other training programs. She also explained that bribery remains a strong challenge for local journalists, who are not paid for covering human rights abuses and face the strong temptation of receiving money for covering Indonesian policies favourably. 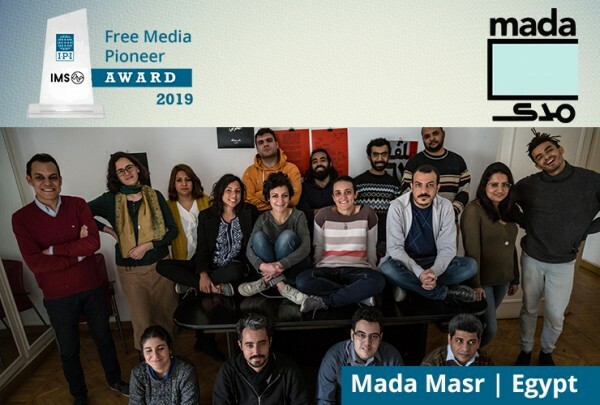 Blades said that “foreign media outlets [should] actively engage with [local journalists] and use them as a correspondent or pay them to do some work”.